Meet Killua’s family, the league of crazy assassins. As the Hunter x Hunter dub enters the year of the Chimera Ants, the ever-popular head to head comparison series between the 1999 and 2011 anime returns! Finally out of the Hunter Exam arc, the shortest arc of the show commences- the Zoldyck Family arc, which gives the viewers a first look at Killua’s family, and also shows the extraordinary resolve of Gon and his friends as they attempt to rescue the former. For those who missed it, here’s the links to Part 1 and Part 2 focusing on the Hunter Exam arc. Despite its short length, the arc is extraordinarily important for two main reasons- the first being the introduction (at least briefly) of the rest of Killua’s family outside Illumi, who was introduced formally at the end of the prior arc; and the continuation of character arcs that see the main foursome begin to go their separate ways after this point, where outside of the Yorknew City arc, most of the viewers’ time would be dominated by the brilliant friendship and adventures of Gon and Killua, but that’s for another day. Once again, the lighter shading and style of the 2011 anime is noticeable in these character models; however, only Seaquant received a notably huge design overhaul, although his headband and mustache was preserved between both iterations. 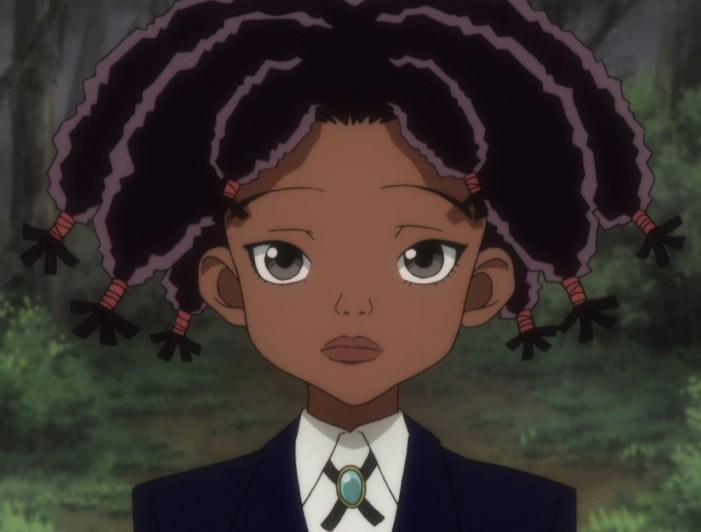 Zebro’s sideburns are noticeably bushier in the later anime adaptation; Canary’s design is remarkably similar, though her hair is now black instead of reddish (and fluffier-looking), her skin is more natural looking rather than the bleached sort of look in the picture, and her outfit has had a palette swap, with the bolo tie being slightly more pronounced. 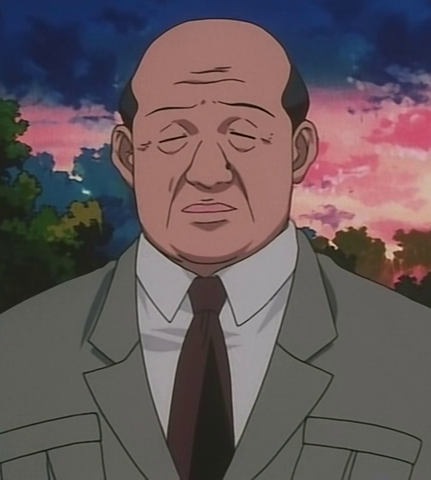 The same goes for Gotoh, whose face has a bit more definition, a lighter shade, and a red clasp on his tie. 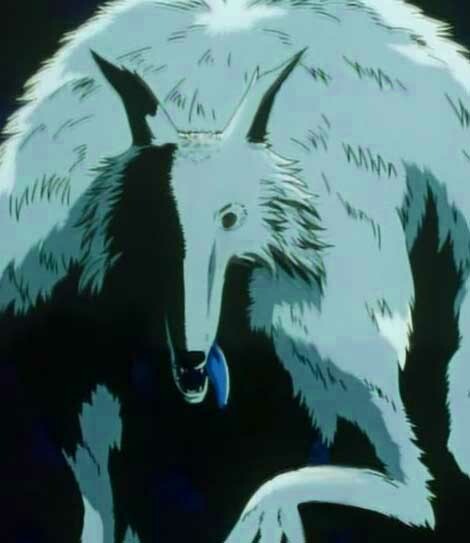 One of the more striking differences in the Zoldyck Family arc (and there are few, this arc is actually quite similar in both versions) is Gon’s confrontation with Mike, the family’s deadly hunting dog. White or red, this is one big dog you don’t want to mess with. While the servants do get plenty of screentime and moments through the arc, it’s the titular family that steals the show. True to Killua’s claims to Gon, and further validated by Illumi’s official reveal and actions at the end of the Hunter Exam arc, the Zoldyck clan is one of dangerous, albeit eccentric, assassins, all incredibly deadly and driven by individual pursuits often unbeknownst to other family members. Their mansion is spacious, but has the look and feel of a medieval castle; it’s hardly what one might call “inviting” despite the obvious wealth obtained from the dark trade the family specializes in. 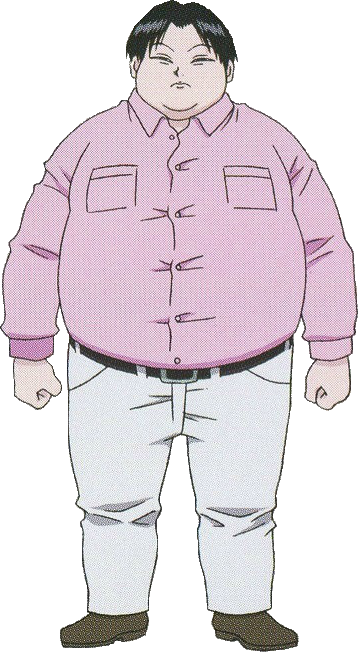 Perhaps what reinforces this mental image the most is our first glimpse of the estate is a torture room where Milluki, the portly second-eldest brother of the five Zoldyck children, is whipping a thoroughly unrepentant (not to mention bored-looking) Killua for his venture to take the Hunter Exam. Remarkably, Zeno’s overall design is almost a 1:1 match, if you take away the brightening of a few colors and the slightly wavier hair. His outfit, down to the kanji is almost exactly the same, with a few minor changes; the piping on his shirt is a lighter shade of purple in 2011 vs a thin line of white in 1999, and the metal collar around his neck has been made slightly rounder and shinier in the new version. In this arc, Zeno’s role of chastising Milluki doesn’t change much; he’s introduced without too much else to say here. The current leader of the Zoldyck family, Silva’s design from Nippon’s to Madhouse’s gave him a bit more musculature, particularly in the shoulders, and his skin is paler as well in the later version. While his outfit has the same overall design in both, the blues present in ’99’s gi have been replaced with the predominant lighter purple indicative of the Zoldycks in 2011, and the belt has been changed to red from gray. Silva’ hair remains similar, though a slight bit longer in the newer version…in the story, his talk with Killua allowing him to leave the estate is quite similar in both versions, though in ’99 Killua sits in front of Silva, while in 2011 he sits next to him in his room during the discussion. 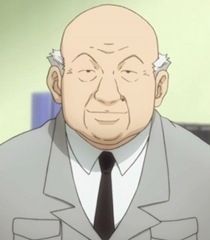 Milluki’s appearance as a fat guy doesn’t change; and his facial design is almost identical between versions. Madhouse’s show accentuates just how portly he is a bit more, where his shirt seems fit to burst; and in ’99 he’s actually wearing sweatpants and slippers at home, which is a bit different. Arrogant and overtly proud about his technological prowess while jealous of Killua’s place in the family, he’s the same guy in both versions. Kalluto’s debut amounts to a cameo in both iterations of Hunter x Hunter for this arc. Paired along aside Kikyo, his mom (yes, Kalluto’s a boy despite appearances), he actually received the biggest design overhaul of any Zoldyck; everything from his hair to the color of his kimono was altered in 2011 (although in ’99, the black kimono shows up on him in the Greed Island OVA’s.) Despite the design differences, he doesn’t do much of note in this arc regardless of the version, only leaving an air of mystery around the youngest Zoldyck child. As is evidenced by the many side by side comparisons, 2011’s anime once again brightened colors on the characters significantly; of interest is that Kikyo appears in a later arc for 2011, but in the Nippon Animation adaptation, this short couple of episodes is the only time she appears. The major difference of course is the yellow dress in 1999; it’s almost the exact same outfit, but now clad in the similar purple others in the family wear with the newer adaptation. As Killua’s mom, she still knocks out Canary in both versions and tries to prevent Killua’s departure from home once more, only to be defeated by her middle son’s furtive glance. -In the ’99 adapation, each of Leorio, Kurapika and Gon keep working at the Testing Gate until they can open it individually (which is accurate to the manga.) In Madhouse’s version, once the trio is able to open the gate as a team, they proceed onwards to face Canary. In both cases, they thank Zebro and Seaquant for their help with training. 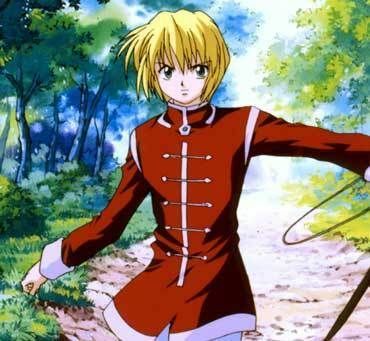 – I’d probably get skewered for forgetting this, but in 1999 Kurapika sports an amazing red outfit that he never wears again after this point, or in the second anime for that matter. In the latter version, the Kurta clan’s lone survivor merely wears the same outfit he had on during the Hunter Exam. You can’t deny he’s got some style. – During the Canary sequence in both versions, she has a flashback. However, the contents of the flashback differ, with 2011’s being far more extensive; which includes the entirety of her total victory over Seaquant’s party that tried to attack the family, and some time she spent with a younger Killua, neither really realizing that they wanted a friend… In 1999 it’s very short, showing Killua’s guarded return to the estate after the Hunter Exam, where he dropped his skateboard, which Canary propped up against a tree, along with a hand-drawn sequence that shows Killua offering the apple to her (which is true in both versions, but much more fleshed out in 2011’s context.) Furthermore, young Killua’s brief appearance in the 1999 moment was quite different from 2011’s younger Kil, who sported fluffier hair and a completely different outfit. Killua also asks her whether she wants to be his friend at a different moment; in ’99 it’s when he offers the apple; for 2011, it’s after Canary’s defeat of the hunters. He also shows off the Rhythm Echo in the later version, which Canary confirms she can use with great proficiency as well. -In Madhouse’s version, Killua arrives at the butler’s quarters before Gon, Leorio and Kurapika, only to be intentionally stalled by Gotoh and company from seeing them when they arrive (and the coin game commences). The Nippon version had Killua still traveling to the lodge as the game was occurring, so as a result, he walked in as it concluded. -After Gon and Killua are reunited, the latter’s skateboard is nowhere to be seen or in the plot of the Madhouse version, whereas the Nippon adaption has Killua entrust Canary with the board (given it was a part of that flashback and story I mentioned). And with that, there’s a comparison of the shortest arc in either anime or the manga for Hunter x Hunter. Next installment, we’ll finally see Gon and Killua’s adventures begin with their journey to Heavens Arena, the greatest hub for martial artists in the world. Like what you see? Is the Zoldyck Family arc your favorite of HxH? Leave a comment! A intriguing, albeit dark fantasy proves to be a unique descent in more ways than one. That’s right: Behold, not one, but two new pieces for the new year! 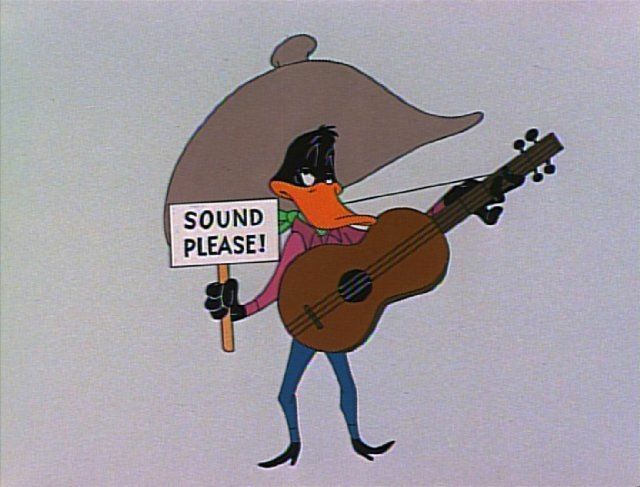 In addition to the brand-new Random Episode Rambling (Duck Amuck), the first review of the new year is a request from a reader in what proved to be a most entertaining winter watch at the end of 2017! For that person, and everyone else, I hope you sincerely enjoy this piece. AniB’s thoughts: Much like the new year, there might not be a better way to begin talking about new beginnings than with a very recent adaptation of a show that had people buzzing in the anime community very recently: Made in Abyss. It’s such a new adaptation that only a 13 episode sub exists, and while I’m writing this review, it could in short order become a preliminary review based on the abundant evidence that in fact this show will get a second season. Before I talk about anything else in the show though, Made in Abyss is visually stunning. It’s not just good-looking in the way most anime are, but breathes life into this multilayered world of “the Abyss,” a giant chasm which hides another world within it, ringed by a giant city ringing its entrance at the top. The ability to convey a wide variety of unique environments in rich detail, while capturing the respective mood of each place, is something worthy of mentioning, before even delving into the characters or the universe in which the adaptation exists. Furthermore, the fact that the animation proves to be key in enhancing the storytelling that it does shows a talented use of the medium in which Made in Abyss exists, and helps augment a series of well-paced, impactful moments. More than anything, I think Made in Abyss took me to a certain place of just enjoying a show for the fact that it was enjoyable. It definitely is a dark fantasy as you delve further into it (literally), and has plenty of serious ideas and questions that it probes along the journey that you follow along on as a viewer, but just entering this unknown world and seeing it with the same fresh eyes as Riko- the young cave raider who the story follows- is something that harkens back to experiencing something like Tolkien’s Middle Earth for the first time, or tucking into an adventure that you just know will be exhilarating, come hell or high water. And perhaps that’s why this anime is a perfect pick to start a new year of reviews (at the time of this writing): for a whole new adventure awaits, and like a descent to the bottom of the legendary chasm there’s no turning back. Animation Quality: Absolutely stunning 2-D animation with a smattering of 3-D thrown in. Made in Abyss, as I mentioned above, is absolutely gorgeous, and its animation, far from just looking stunning, uses the medium to its fullest in its ability to impact storytelling, from warm moments to tragic ones. 5/5 points. Made in Abyss’s story mostly follows that of Riko, a young cave raider who wishes to follow in the footsteps of her mother, the legendary White Whistle Lyza the Annihilator, by exploring the deepest depths of the Abyss, the massive mysterious chasm of which the show centers around. After a series of events early in the show, including meeting Reg and receiving a mysterious letter from the deepest reaches of the Abyss, Riko decides to embark on the perilous, suicidal journey to the unknown bottom of the Abyss in the hopes of finding her mother- and so the journey unfolds from there. Accompanying her is Reg, a strange boy who is said to be an Aubade- a true sacred treasure of the deep, and while he is seen as a robot, he has decidedly human features that make him truly an enigma. Reg is kind, but rather shy and has several unique feature including extendable metal arms and a powerful weapon embedded in his artificial hands that even he is unaware of its true origins or power source…Looking to find more answers about his mysterious past, he agrees to travel and protect Riko on her journey. The supporting cast is varied for a (currently) short show, with different characters that play an important role at each level of the Abyss, from the massive town of Orth ringing the pit on down. Normally I’d detail the supporting cast slightly more, but in this case it’s probably better to experience them for yourself (and to avoid heavy spoilers!) 4.25/5 points. Story quality: Simple premise, amazing execution. As is typical of anime, the overarching story plot is present and the main thrust of that plot- Riko’s drive to find her mother- is deceptively simple. However, the setting and the character themselves bridge the “how?” question in incredibly unique ways, augmented by the settings and the experiences of other characters imparted as the journey unfolds. One last note: This show shows how a flashback sequence should be done. Without spoiling anything, people who’ve watched this show or read the manga will know what I’m referring to. 4.5/5 points. Themes: “What drives people to do crazy things? Furthermore, what does humanity’s never-ending quest to see the unknown lead to? For this genre of show, there’s this deep and often unnerving look at the human mind as much as there is a look at the depths of the Abyss, and in turn, there’s real stakes, solids twists and emotional impact that rings true. I’m curious where another season will continue to develop this category. 4/5 points. Don’t insult the viewer: Alright, alright…so there’s highly disturbing sequences that I do caution the faint of heart about, and I wouldn’t recommend this show to anyone under…16 in good conscience, largely because of how intense parts of Made in Abyss can get, but it’s a tightly packed narrative the whole way with plenty of excellent sequences, some fitting music, a nice OP and ending, and intelligent writing. Can’t really go wrong with that! 4.75/5 points. Total Score: 22.5/25 (90%). A vibrant fantasy world packed with adventure and danger around every corner has proven to be an exhilarating, emotional trip thus far, albeit for a slightly older audience than you’d expect such cute main characters to be starring in. There’s likely to be a season 2 as I mentioned, but the 13 current episodes are a must watch, though I will warn that the final few episodes are something to brace for.